Warhammer Fantasy Battle blog & Warhammer forum for Games Workshop tabletop news and miniature releases. 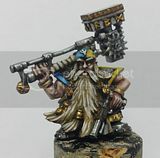 Warhammer Battle Reports, White Dwarf magazine reviews, Warhammer Fantasy tactics, Warhammer Army pdf links, Warhammer Battle beginner's guide, terrain modelling & model painting. Current edition army books only filter, 5,000 searchable battles archive, double batrep notes and more exclusive member accolades. 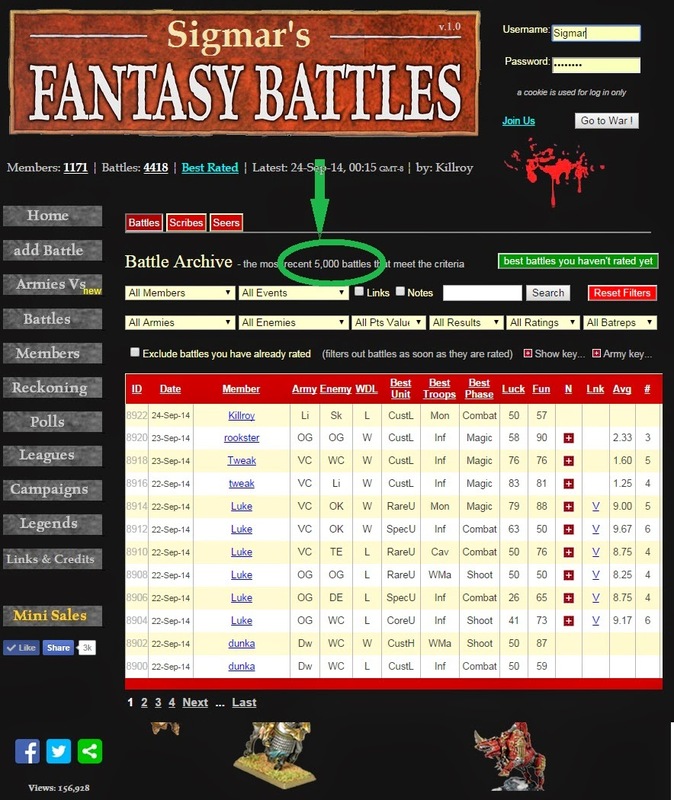 Hi folks, I've been tweaking the database and current pages in the run up to WFBattles.com version 2 which I'm working on now. a filter to the ArmiesVs page which shows the stats for only the current army book editions. 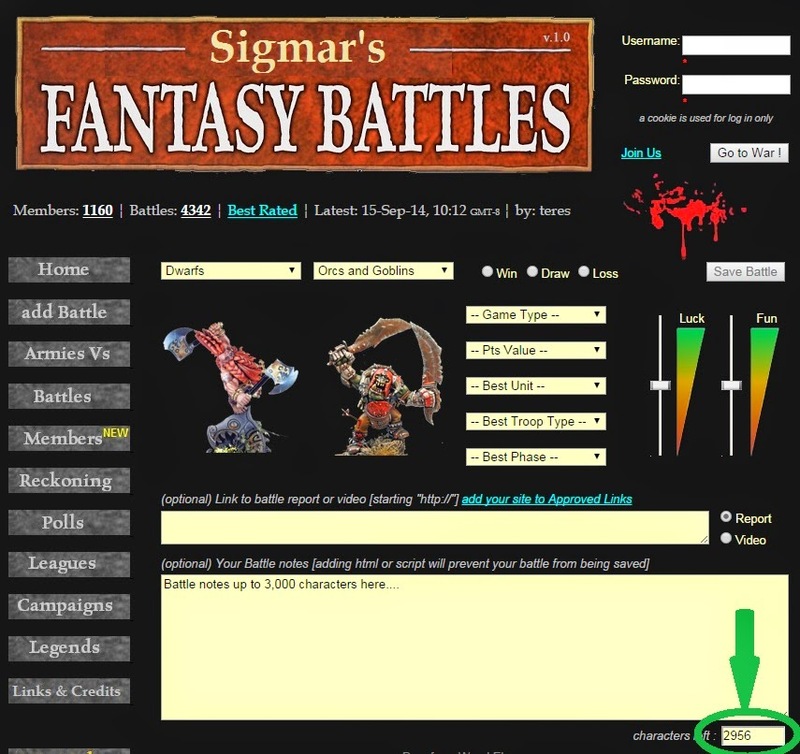 now you can add up to 3,000 characters to your battle notes (increased from 1,500). you can now search all of the existing battles (up to 5,000), view them and rate them to keep a track of which batreps you've read and watched - and to earn prestige points. a new button to show the best rated battles that you haven't already rated yourself. the Member Accolades page has been tweaked to make the achievements tougher to attain (see the in-page "key"). join the Battle Reporter forum and subscribe to the development thread. Chaos, the Chaos device, the Chaos logo, Citadel, Citadel Device, Darkblade, the Double-Headed/Imperial Eagle device, 'Eavy Metal, Forge World, Games Workshop, Games Workshop logo, Golden Demon, Great Unclean One, GW, the Hammer of Sigmar logo, Horned Rat logo, Keeper of Secrets, Khemri, Khorne, the Khorne logo, Lord of Change, Nurgle, the Nurgle logo, Skaven, the Skaven symbol devices, Slaanesh, the Slaanesh logo, Tomb Kings, Trio of Warriors, Twin Tailed Comet Logo, Tzeentch, the Tzeentch logo, Warhammer, Warhammer Online, Warhammer World logo, White Dwarf, the White Dwarf logo, and all associated marks, names, races, race insignia, characters, vehicles, locations, units, illustrations and images from the Warhammer world are either ®, TM and/or © Copyright Games Workshop Ltd 2000-2012, variably registered in the UK and other countries around the world. Used without permission. No challenge to their status intended. All Rights Reserved to their respective owners. 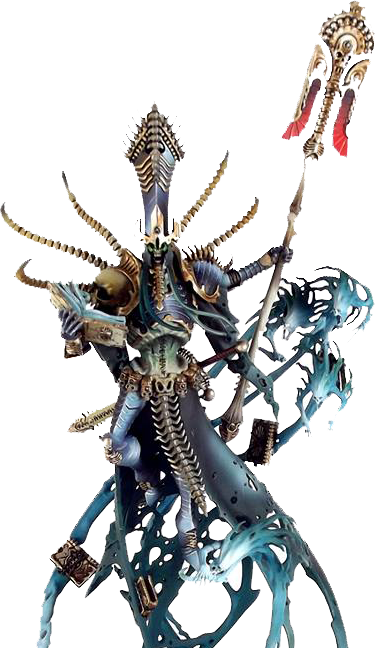 40k Battle Reports • Re: New era battle reports! 2013 in review; oh the humanity! !